The Biona Organic Cranberry Juice 100% Pure 330ML product ethics are indicated below. To learn more about these product ethics and to see related products, follow the links below. I just love this juice. It has such a great flavour. I mix it with sparkling water for a refreshing drink. You get the full cranberry flavour without the sugar. Sharp but delicious. very happy that it has no sugar. It's difficult to find 100% cranberry juice on general sale so was pleased to find it on Natural Collection. 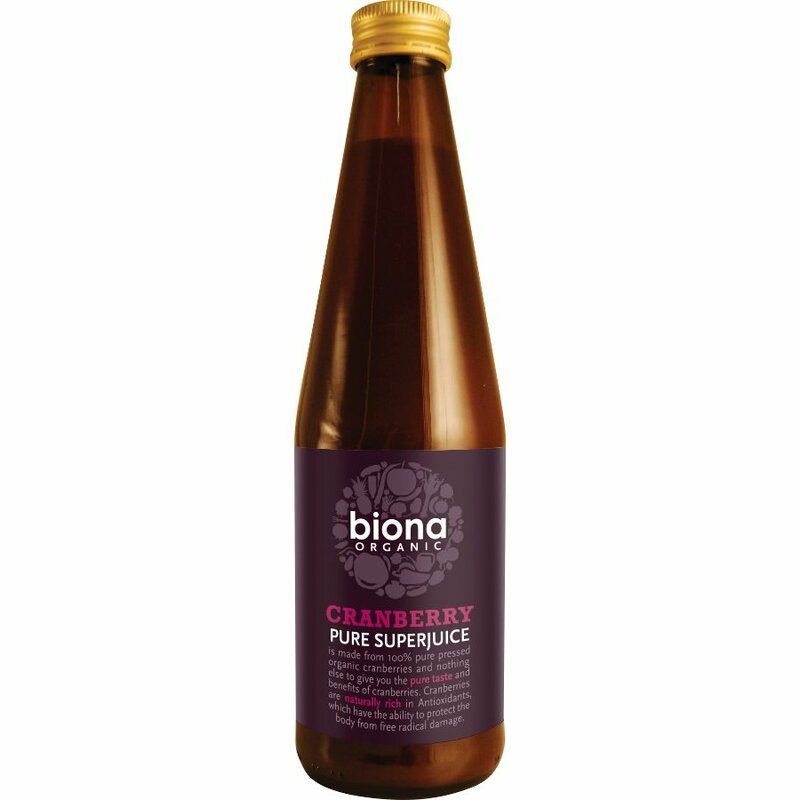 There are currently no questions to display about Biona Organic Cranberry Juice 100% Pure 330ML.